The facts of January 23, 2019, permeated through every field into the Venezuelan reality. 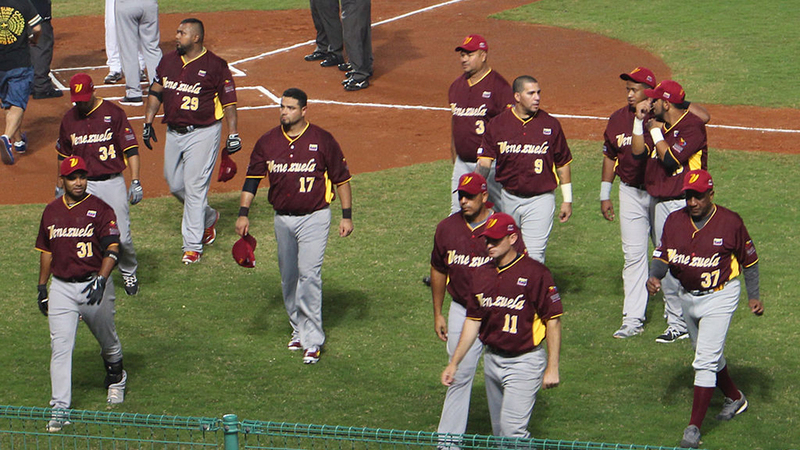 Even the beginning of the Venezuelan Winter League of Professional Baseball’s final series between Leones del Caracas and Cardenales de Lara, was affected when the Venezuelan National Assembly leader, Juan Guaido, took an informal oath and declared himself the country’s acting president just hours after deeming the administration of Nicolas Maduro illegitimate because of alleged irregularities in the 2018 elections. This generated retaliation against the National Assembly and the citizens who joined the protests supporting Guaido’s pronouncement. There were reportedly threats from high-ranking personnel in the regime against people in the management department of a team participating in the final series, because they proposed to postpone the second game due to the political unrest. Some ballplayers received threats from violent groups for joining the proposal to not play that day. These are some of the testimonies of players, journalists, and coaches. Javier Izaguirre, Leones fan: This didn’t have to happen; it should’ve been postponed. This serious situation that we Venezuelans are going through with the shortages doesn’t just affect us but the players on the field as well, their families. Each baseball player that expresses himself is a magnet for harassment. Ignacio Serrano, sports journalist: Baseball is doing its part, which is to provide employment and carry on while it can. Like the arepas vendors, the hamburger vendors, those of us who write for newspapers that are still allowed to circulate, those who write online because the papers are banned; at the end of the day, we’re still trying to keep the country going. Joyce Barrios, food stand vendor who sells arepa’ at the Caracas stadium: We can say that this season, compared to others in past years, has suffered 50 percent less attendance. [For example, look at] this final, and you can see that the stadium is practically empty. Venezuelan baseball has been suffering from these kinds of events since December of 2002, when Ramón Guillermo Aveledo, the president of the Liga Venezolana de Beisbol Profesional (LVBP), after having a meeting with the owners of the teams, decided to suspend the regular season because there was a general strike in protest of the start of totalitarian measurements from the government of Hugo Chávez Frías. Because of the strike, the basic conditions needed to have a baseball game were impossible: safety in the stadiums, the supply of drink and food in the ballparks, the possibility of broadcasting commercials on TV and radio stations, and transportation among the cities where the teams play. The stoppage of the baseball season generated losses of four billion bolivars. The last games were played on December 1, and on December 13, the league posted a statement cancelling the season. Maybe one of the most difficult episodes of Venezuelan professional baseball happened during the summer of 2017, because of the citizen protests in the streets before the celebration of another fraudulent election orchestrated by totalitarianism. Some Venezuelan big leaguers started to demonstrate through social media, asking the Venezuelan political regime to stop the repression against the protests for democracy and liberty. Among them was the group of Ricardo Rodriguez, Elvis Andrus, Elvis’ brother, Erikson Andrus, Martín Pérez, Rougned Odor, Yohander Mendez and Robinson Chirinos. As Erickson Andrus waited in a line at a crowded lunch-time eatery, a gunman came closer to him and fired. Then there were more shots from many directions. People screamed and looked for cover. Erikson threw himself to the floor while looking to his wife and daughter in their car. He raised his head and saw the bodyguard hired by his brother Elvis, the Texas Rangers regular shortstop. His shirt was soaked in blood. A bullet had hit his chest, lodging itself below his armpit. “Boss, boss, let’s go!” the stocky bodyguard said seconds after he fired seven bullets, killing the assailant. A second suspect fired shots above his head and ran. It’s believed the gunmen belonged to one of the armed civilian groups loyal to the socialist government of Venezuela. Erickson Andrus had become a target because of his brother’s fame as a big leaguer and as a spokesman with Empresas Polar, the country’s largest private company and top beer producer—and a fierce opponent of the regime. The morning after this horrendous encounter, he called his brother in Washington D.C., where the Rangers started a weekend series against the Nationals. “Hi Elvy,” Erickson said using his little brother’s nickname. “I need to do something.” “You know what bro,” Elvis said. “It’s time to come to the U.S.” A week later, Erickson and his family were in North Texas looking for asylum. Catcher Robinson Chirinos also experienced consequences because of those demonstrations, through social media. “We talked in defense of what we believed was correct in that moment, that’s why we demonstrated together.” Chirinos said this was why armed groups attacked part of his family living in Maracaibo. “I’m going to emancipate it, I’m going to set it free,” insisted Acosta about the Navegantes. “But with a judgment. That doesn’t mean the judge is going to rule to my side or that he tells me, ‘No, Acosta you don’t have legal faculty to do this. The team belongs to the people. It’s not Acosta Carles’, it’s not of a family, it’s not of a foundation. It has to be done an association and they themselves administer their own destiny.’” The expropriation didn’t go through. Even so, Venezuelan baseball has continued to experience totalitarian attacks. A chancellery official said “baseball is alienating,” and the recently created Ministerio del Deporte tries to control the players’ ties with Major League Baseball organizations. Fortunately, at least the light towers in the baseball stadium were replaced before the start of the baseball season with the support of the professional teams. In the soccer stadium, they had to have daytime games for a long time. Four months before the opening day of the Venezuelan Winter League 2018-19 season, the Luis Aparicio “El Grande” stadium in Maracaibo was affected when part of the wires for the light towers Nos. 5 and 6 were stolen. Each tower suffered the loss of one meter of roll with 20 wires. Since the end of the previous season, air conditioning sets from the press box, wires from the ticket offices, light tubes from the stands roofing, piping from the restrooms, complete sets of restrooms materials, and DirecTV codifiers and controllers have all been stolen. Besides this, another pair of light towers, Nos. 7 and 8, are out of order because of functional failures. Repairs depended on a foreign company, a transaction made virtually impossible by inflation. Before the start of the 2017-18 season, one of the light towers exploded and cost 75 million bolivars. This time there were four towers to repair. The season was half over by the time they found a way to get it done. Miguel Cabrera announced in July 2017 that he had been threatened with death for participating in videos against Nicolás Maduro’s government. “Some chavistas told me, ‘If you come to Venezuela, they are going to murder you.’ They kill me, that’s what they told me,” Cabrera said in a series of videos he posted on Instagram. The ballplayer, in the middle of a baseball season with the Detroit Tigers, also confirmed being the target of kidnapping threats directed at his mother, who still resided in Venezuela. “I’m fed up with paying extortions. They say they’re going to kidnap my Mom. I don’t know if they are policemen, gangsters. Please, don’t hurt my family. I ask you that,” Cabrera said. Cabrera supported mobilizations looking for Maduro’s exit from power, events that led to riots resulting in 92 deaths since April 1. “The first advice Andrés Galarraga gave me, one of the historical figures in Venezuelan baseball, was, ‘Don’t get involved in politics,’ and I have never gotten involved in it, but in this moment we have to get involved, because the country has been kidnapped,” Cabrera said. Through November 10, 2011, Wilson Ramos, at the time the Washington Nationals catcher, made arrangements to debut in the Venezuelan winter league with his team, the Aragua Tigers. That Wednesday night, Ramos was at his parents’ home in Valencia, 150 kilometers to the west of Caracas. According to the police and witnesses, three armed men twice passed by the house in a Chevrolet Captiva vehicle and kidnapped him. Ramos was outside the house with some relatives. He had recently signed an autograph for a kid. Fortunately, police rescued Ramos the next day at a mountain home in Carabobo state, according to the official authorities. Since then, fewer and fewer Venezuelan ballplayers from the minor and major leagues want to play in the Venezuelan league. The Venezuelan Summer League was an idea of major league organizations to develop Venezuelan prospects in their first years of development. Through the creation of baseball academies, those organizations established the conditions and teams to develop the league. The VSL was active from 1997 through 2015, when many teams decided to take their academies out of Venezuela because of the social, political, and economic situation in the country. 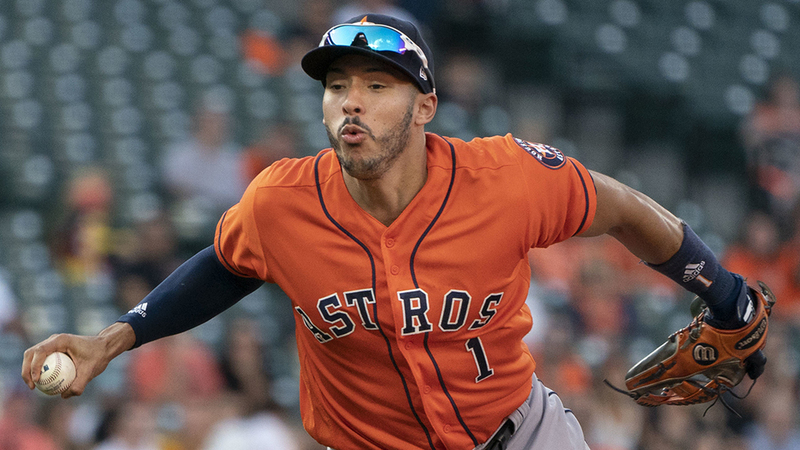 The Seattle Mariners were the first to leave, then other organizations gradually continued the exodus: Tampa Bay, Detroit, the Chicago Cubs, and Houston. When it was almost a fact the under-10 Venezuelan baseball team wasn’t going to the Panamerican championship to be held in Mexico in October 2017, Cabrera contributed money for the delegation’s costs while in Mexico. “The national team says to Cabrera, “Thank you! Because of your support we’ll be at the Panamerican tournament.” The Federación Venezolana de Beisbol press department published a statement along with a video showing the kids celebrating and praising the slugger. At the end of May of 2018, Sandy León, the Boston Red Sox catcher, paid for the flight for the 21 members the delegation LUZMaracaibo would send to the Latin American Little Leagues Championship in Aruba, junior class. All this happened in the middle of the social, economical and political crisis the country is going through. Around January 20, 2019, it was known that the Venezuelan national team wouldn’t compete at the repechage tournament qualifier for the Panamerican Games, which will be held in Lima between July and August of 2019. The news was confirmed through a statement posted by the Federación Venezolana de Beisbol (Fevebeisbol). This tournament offers four berths for the Lima Panamerican Games. The qualifier tournament, which was scheduled to be held from January 29 to February 3, didn’t have the presence of Venezuela because the team lacked the financial resources to travel. Daniel Gutierrez, Efraim Álvarez, Daniel Gutierrez. La Enciclopedia del Beisbol en Venezuela. Liga Venezolana de Béisbol Profesional, Caracas 2006. ‘I’ve got to get my stuff and get to the airport’: The tense final days of Venezuela’s winter league championship, Hiram Martinez, ESPNDeportes.com, Feb. 4th, 2019. “Peloteros de Leones habrían sido amenazados con prisión si se rehusaban a jugar la final.” El Cooperante, 26 enero, 2019. “Al menos por varios meses podrían quedar suspendidas las actividades en los estadios Olímpico y Universitario de la UCV.” Garrinson Maita, Noticias de la Dirección de Información y Comunicaciones (DIC), Universidad Central de Venezuela, 12-06-2013. “Peligra temporada de béisbol en el ‘Luis Aparicio’ por robo de cableado.” Angel Cuevas, Versión Final, Maracaibo, Venezuela, 08-06-2018. “El grandeliga Miguel Cabrera denuncia amenazas de muerte en Venezuela.” Agencia France Presse, Caracas, 10 de julio de 2017. “Lo que se sabe del secuestro de Wilson Ramos.” Juan Paullier, BBC Mundo, Caracas, 11 noviembre 2011. “Miguel Cabrera apoyará económicamente a niños de selección sub10 de beisbol.” Ignacio Serrano, El Emergente, 2 de octubre de 2017. “Sandy León costeará el viaje de Venezuela a las Pequeñas Ligas.” Ignacio Serrano, El Emergente, 28 de mayo de 2018. “Venezuela no asistirá al repechaje de los Juegos Panamericanos.” Meridiano.com, 21-01-2019. Alfonso L. Tusa is a chemical technician and writer from Venezuela. His work has been featured in El Nacional, Norma Editorial and the Society for American Baseball Research, where he has contributed to several books and published several entries for the SABR Bio Project. He has written several novellas and books and contributed to others, including Voces de Beisbol y Ecología and Pensando en tí Venezuela. Una biografía de Dámaso Blanco. Follow him on Twitter @natural30. No one loves socialism quite like the moron who has never lived it up close and personal. Actually, how do you know where josh comes from? Honest question, I presume they have some nonUSA readers (and posters) here. Thanks for bringing to light the trials faced by these players. These are compelling stories that help us see the personal side of the tragedy that’s playing out in our headlines today. I have Venezuelan friends who haven’t returned to their country in fifteen years. I wonder why we don’t hear much about these kind of stories?